Travel doesn’t have to be only about far away destinations. There are plenty of places worth visiting close to home. 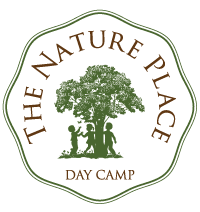 Day trips or even outings that are just a few hours long offer refreshing departure from our routines and open doors to something new and surprising. The travel package becomes even more exciting if a little time travel is part of the deal. Our local time traveling took place in the Rockland Lake State Park area, at the foot of Hook Mountain. Rockland Lake is a 256-acre spring-fed lake. The trail around the large lake is a popular destination for joggers, bikers, roller skaters, or those who enjoy a relaxing walk. When we think of the lake, we think of recreation; a family picnic, a walk or a boating excursion. It is hard to imagine that, in the past, the area was home to a major business operation, an industry belonging to times long gone. The economy of the Village of Rockland Lake (the village no longer exists, only a few houses remain on the east shore of the lake) was driven through a good part of the 19th century by the lake itself. The frozen water of the lake was a valuable commodity in the pre-refrigeration era. In 1831 the Knickerbocker Ice Company formed. 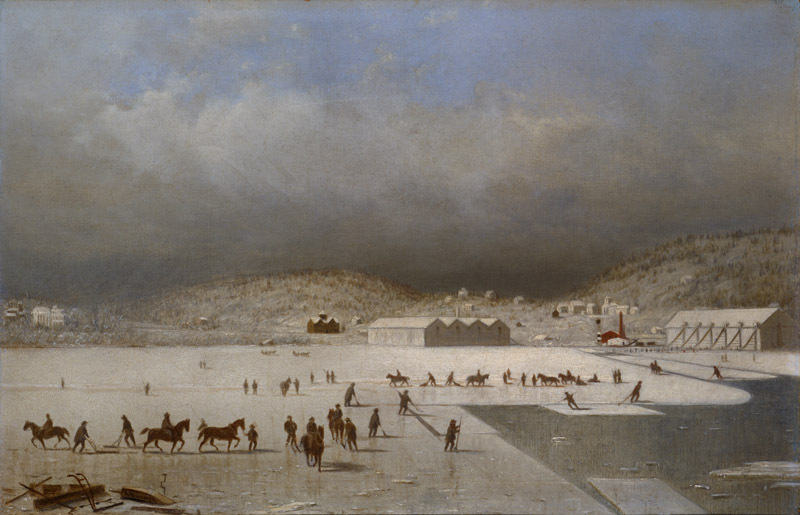 Rockland Lake was known as “the icehouse of New York City”. Blocks of ice harvested from the lake were transported to New York City and far beyond. The harvesting usually started in January when the ice was thick enough. First, blades pulled by horses “drew” a grid into the ice. Then, workers with machinery pulled large blocks of ice out of the lake. The ice was stored in a nearby icehouse. The double-walled building insulated with sawdust assured that the ice lasted, amazingly, until the summer! The ice was needed most in the summer and that is when it also fetched the highest price. The ice was used to preserve food and for sought after cold drinks, which were the new thing. A lucrative industry developed here not only because of the purity of the water, but also because of the location of the lake. The lake is a half a mile from the Hudson River, at an elevation of 150 feet above the river. The proximity and access to the Hudson assured that the ice could be relatively easily shipped. The ice was transported down the mountainside to the river on inclined gravity-driven railroad cars, then shipped on barges to New York City. Some of the ice was put to use in the Meat Packing District, some was distributed throughout the city by special ice wagons, and – as unbelievable as it sounds – part of the harvest was shipped to faraway destinations in Asia! Ice harvesting deeply impacted the local economy. It provided jobs for farmers in the wintertime, and by the 1850s the Knickerbocker Ice Company employed about 3,000 people. After buying out a competitor, in 1869 the Knickerbocker Ice Company became one of the largest companies in the world. But, its decline was inevitable. Outcompeted by commercial refrigeration, the company closed in 1924. After a winter walk around the lake and a cool experience viewing the remains of old ice-harvest-related structures, we wanted to treat ourselves with a hot drink. We went for the kind that the inhabitants of our region might have drank in the 19th century. 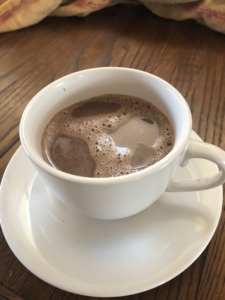 Digging into the culinary history of the region, we have learned that frothed spiced hot chocolate was a drink popular in the Hudson Valley area as early as the end of the 17thcentury. Cacao was a commodity shipped from Curacao in Lesser Antilles, sometimes in exchange for dairy, wheat, and preserved meats from the Hudson Valley! Times certainly change; industries come and go, but a cup of hot chocolate remains a delicious treat. The difference between hot cocoa and hot chocolate is that the former is made with cocoa powder while the latter uses chocolate. As opposed to cacao, chocolate contains cocoa butter, which makes hot chocolate more rich and creamy. In a small saucepan, over a medium heat, bring milk to simmer. Make sure not to bring the milk to boil. Whisk in sugar and spices. Add chopped chocolate and vanilla extract. Gently whisk until all chocolate melts. If you prefer your chocolate with lot of froth, use a hand-held frother to aerate the hot drink.